Conversation between Malén Gual, Curator of the exhibition, and Reyes Jiménez, Head of Restoration and Preventive Conservation of the Museu Picasso. Malén Gual and Reyes Jiménez will present the research process that was signified by the exhibition «1917. 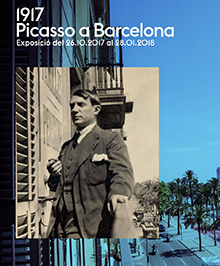 Picasso in Barcelona», and the discoveries both of them have made: one referring to the activities and processes of the artist in what would be his last long stay in the city, and the other in the framework of the exhaustive study about the works which Picasso painted during the same period.